A solid cone has height 6 inches and radius 8 inches. What is the volume and total surface area of the cone? 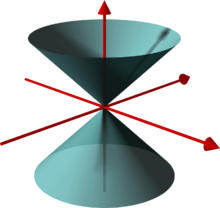 A solid cone has height 21 cm and radius 12 cm. What is the volume and total surface area of the cone? A solid cone has height 4 m and radius 11 m. What is the volume and total surface area of the cone? A solid cone has height 14 units and radius 20 units. What is the volume and total surface area of the cone? A solid cone has height 6 inches and radius 19 inches. What is the volume and total surface area of the cone? A solid cone has volume 1781.28 cubic inches and radius 9 inches. What is the total surface area of the cone? What is the slant height? A solid cone has volume 1876.58 cubic cm and radius 8 cm. What is the total surface area of the cone? What is the slant height? A solid cone has volume 9215.34 cubic m and radius 20 m. What is the total surface area of the cone? What is the slant height? A solid cone has volume 3392.92 cubic units and radius 18 units. What is the total surface area of the cone? What is the slant height? A solid cone has volume 4241.15 cubic inches and radius 15 inches. What is the total surface area of the cone? What is the slant height? A solid cone has volume 706.86 cubic inches and height 3 inches. What is the total surface area of the cone? What is the slant height? A solid cone has volume 150.8 cubic cm and height 16 cm. What is the total surface area of the cone? What is the slant height? A solid cone has volume 4071.5 cubic m and height 12 m. What is the total surface area of the cone? What is the slant height? A solid cone has volume 5336.52 cubic units and height 26 units. What is the total surface area of the cone? What is the slant height? A solid cone has volume 2261.95 cubic inches and height 15 inches. What is the total surface area of the cone? What is the slant height? A solid cone has height 7 inches and diameter 6 inches. What is the volume and total surface area of the cone? A solid cone has height 12 cm and diameter 22 cm. What is the volume and total surface area of the cone? A solid cone has height 29 m and diameter 10 m. What is the volume and total surface area of the cone? A solid cone has height 24 units and diameter 24 units. What is the volume and total surface area of the cone? A solid cone has height 10 inches and diameter 18 inches. What is the volume and total surface area of the cone?